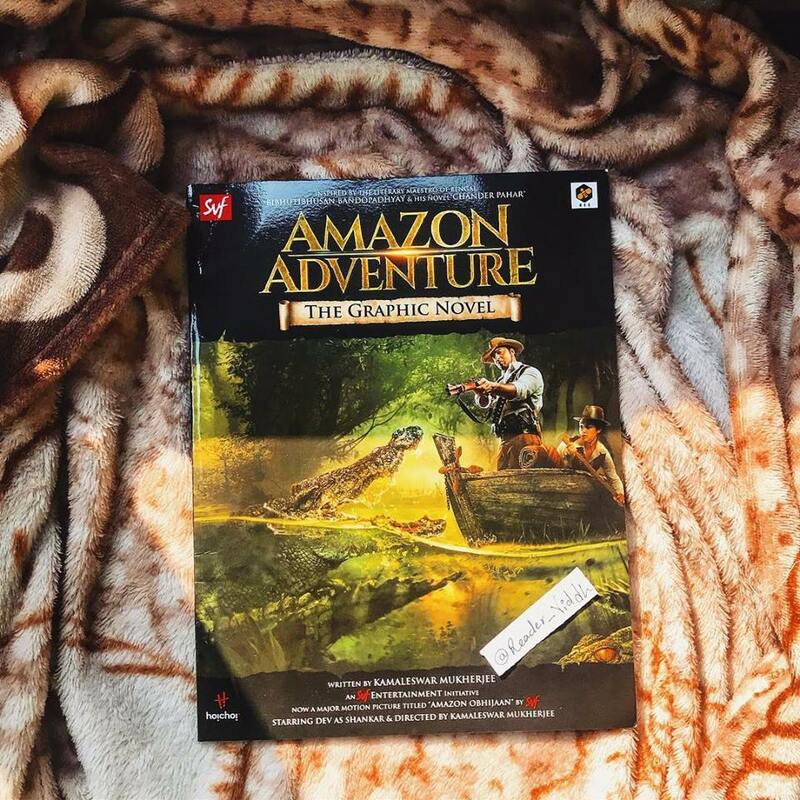 Amazon Adventure is an enthralling story of two adventurers – Shankar & Anna who travel thousands of miles to reach the mythical city of Gold – El Dorado. With natural difficulties, wild animals, savage tribes, and vicious gold digger, it’s story of discovery & knowledge, unrelenting courage, survival, loss & pain. But above all, it is a tale of universal human bond and connection & the wisdom an individual gain from it. This is the story of two adventurers who have their eyes on the city of gold. During their journey, they face a lot of obstacles during this adventure. They have to face attacks, struggles and lot more. Will they give up or continue this adventure? will they succeed? There’s lot more to the story. This is my first graphic novel and I loved it. I loved the detailing of graphics. The artist succeeded in capturing each and every emotion of characters really well. They are so detailed and crisp. The story, the plot that author set is good but something was felt missing in the story. The characters made by the author are good and connecting. The use of simple language and interesting graphics makes it possible for readers to connect well with the book. The pace of the story is too fast. It would have been lil slow. The way things were going with characters was way too fast. The tempo of the story was also good. It’s an adventure novel, so it was all about adventures, love, friendship and much more. The detailing is too good. This book will be loved by children because the story is good and so is graphics.